The pastor’s class at Komena in Sinazongwe that completed the CROSS project training. 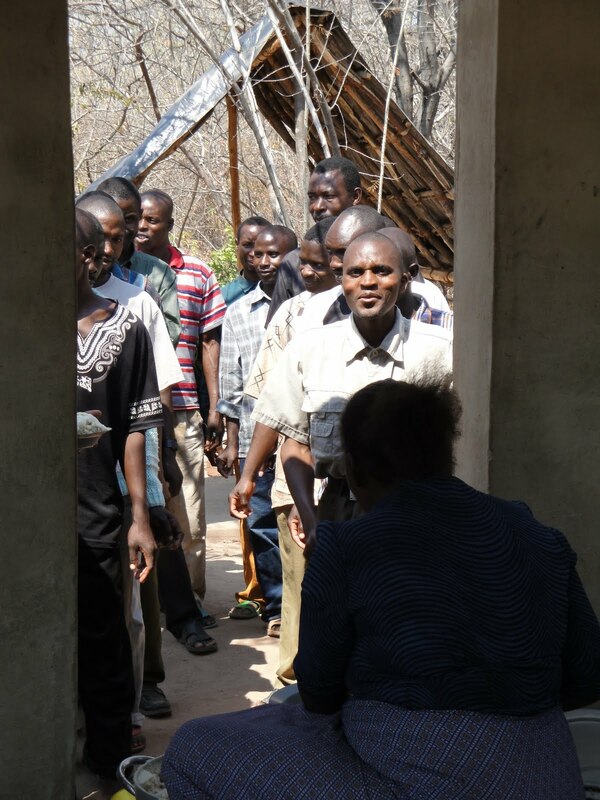 The pastors waiting in line to receive lunch. 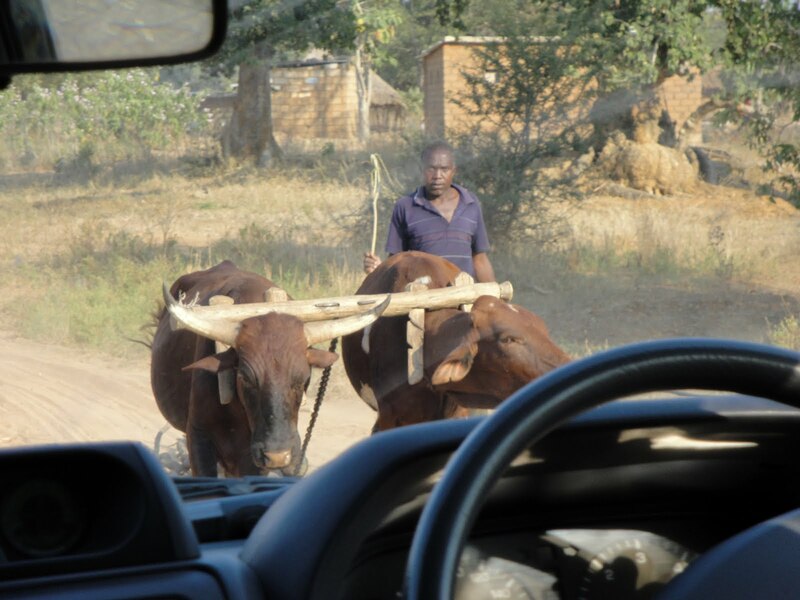 Driving in Zambia offers many road obstacles to keep you on your toes! Cows, goats, chickens, and donkeys were just a few things we encountered. 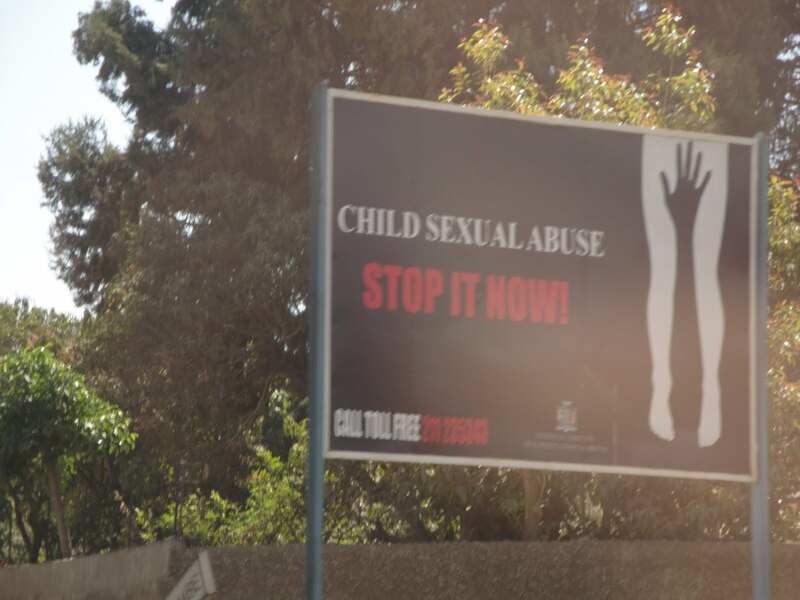 Certain groups in Zambia are trying to combat issues like sexual abuse and HIV with billboards like this. 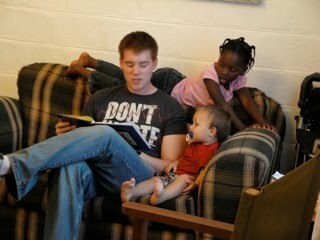 Derek and his reading buddies – Ian and Irene Hilty. Tracy and Karen Singleton on the left (Tracy heads up the Action Bible Institute for training pastors and is an ACTION Zambia Deputy Director). 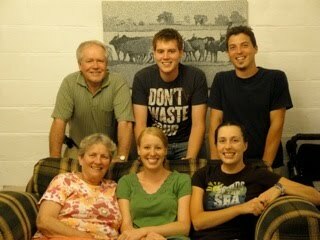 Tim and Andrea Hilty on the right (Tim is the ACTION Zambia Field Leader).